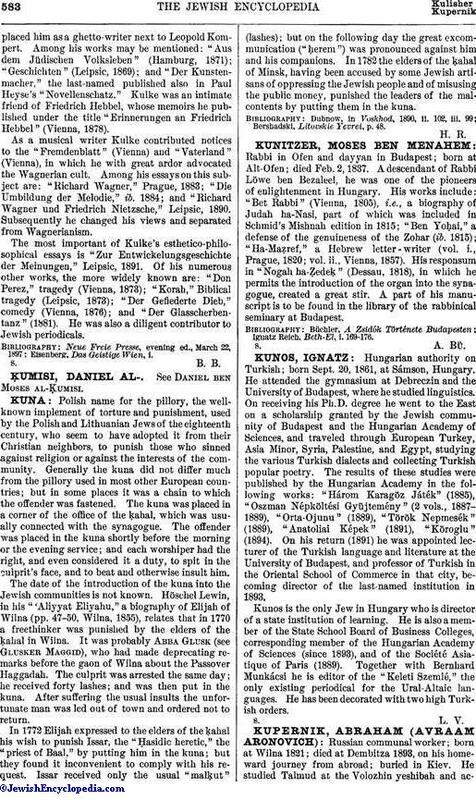 Rabbi in Ofen and dayyan in Budapest; born at Alt-Ofen; died Feb. 2, 1837. A descendant of Rabbi Löwe ben Bezaleel, he was one of the pioneers of enlightenment in Hungary. His works include: "Bet Rabbi" (Vienna, 1805), i.e., a biography of Judah ha-Nasi, part of which was included in Schmid's Mishnah edition in 1815; "Ben Yoḥai," a defense of the genuineness of the Zohar (ib. 1815); "Ha-Maẓref," a Hebrew letter-writer (vol. i., Prague, 1820; vol. ii., Vienna, 1857). His responsum in "Nogah ha-Ẓedeḳ" (Dessau, 1818), in which he permits the introduction of the organ into the synagogue, created a great stir. A part of his manuscript is to be found in the library of the rabbinical seminary at Budapest. Ignatz Reich, Beth-El, i. 169-176.